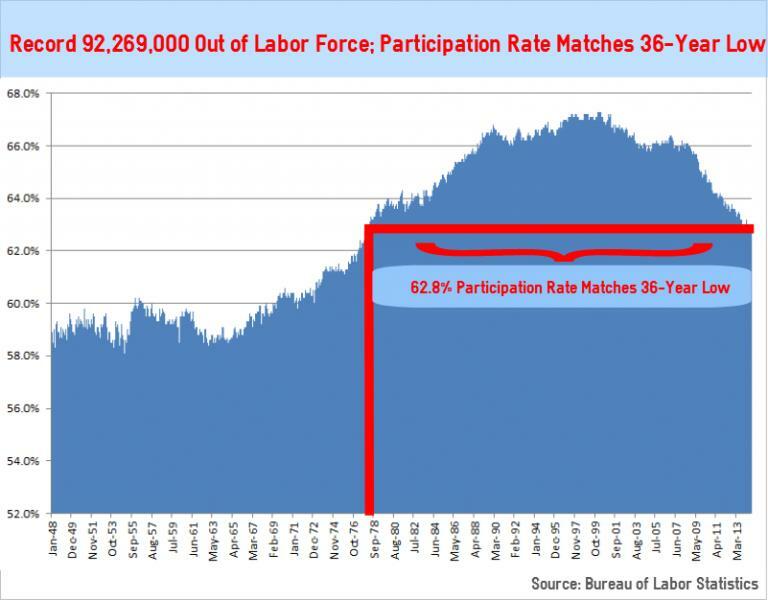 (CNSNews.com) – A record 92,269,000 Americans 16 and older did not participate in the labor force in August, as the labor force participation rate matched a 36-year low of 62.8 percent, according to the Bureau of Labor Statistics. In August, the civilian noninstitutional population was 248,229,000 according to BLS. Of that 248,229,000, 155,959,000—or 62.8 percent–participated in the labor force, meaning they either had or job or had actively sought one in the last four weeks. Reblogged this on Palin SMASH.